This offer has expired. Instead, the Capital One® Spark® Miles for Business card now comes with 50,000 bonus Spark miles for spending $4,500 on purchases within first 3 months. The Capital One® Spark® Miles for Business card comes with a gigantic 200,000 Spark Mile sign up bonus that is marketed as ending today, January 28, 2019. As of now, the bonus is still available, but act fast as it should be wiped at some point today. ..with the first trigger at $5,000 spend in the first three months of account opening, which will earn 50,000 bonus Capital One miles. 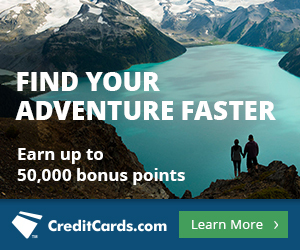 Spending an additional $45,000 within six months of opening the card then earns you the remaining 150,000 bonus Capital One miles. Capital One miles have varying values depending on how you redeem them. 200,000 Capital One miles= $2,000 in travel credits if you redeem them for 1 cent each towards travel purchases or 133,333 airline miles. If you spend those airline miles wisely, you can get a lot more value than $2,000 with 133k of them. Read about this change in Capital One Adds 12 Airline Transfer Partners. Your return will be 2 Capital One miles per dollar spend on all purchases. If your business can meet that spending requirement then you’ll effectively be earning 2.6 airline miles per dollar spent for the duration of spending towards the bonus. That’s an attractive offer and arguably better than the everyday spend you’d earn from the Blue Business ℠ Plus Credit Card from American Express, which earns 2 Membership Rewards on all spending. It depends on how much more useful Membership Rewards transfer partners are to you than Capital One’s. The $50,000 spending requirement for the Capital One® Spark® Miles for Business card’s 200k mile bonus is large. But if your business has that capability, I’d give this offer some serious thought, quickly, as it will drop today at some point. 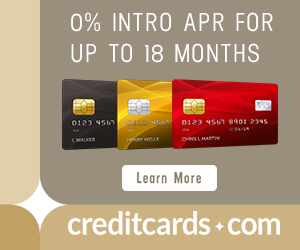 Note the card’s $95 annual fee is waived for the first year of card membership. I applied 2x for this one and got denied both times. I never called in. Hard to believe with credit scores above 800, plenty of income, and paying all bills monthly. I do have quite a few credit cards but not too many this year. I get tons of mailers from Capital One. Kinda scratching my head as to what their reasons for denial. However, lots of other fish in the sea as they say.